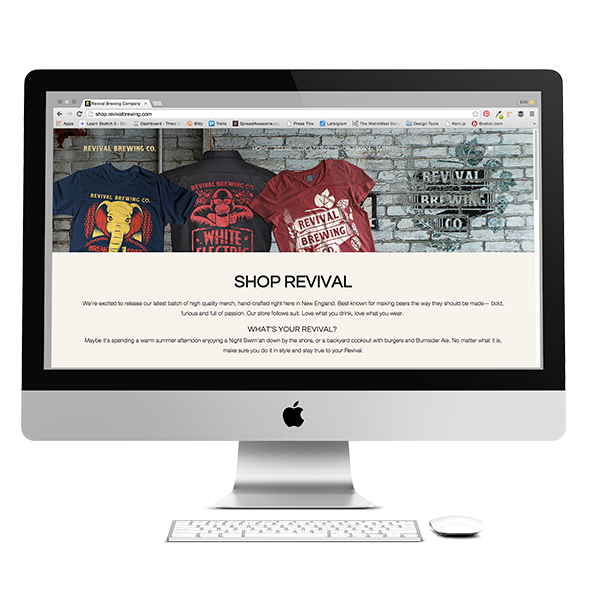 An e-commerce subsite made to made Revival Brewing’s current online presence. 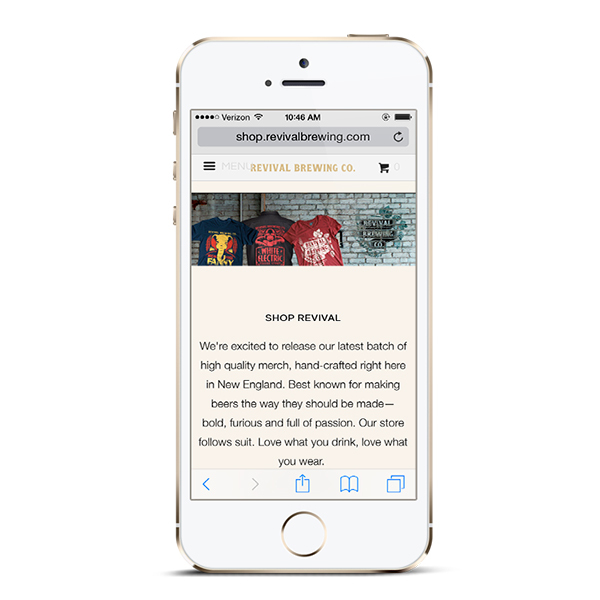 Revival Brewing is a small craft brewery located in Providence. They wanted to test out the e-commerce waters and open up an online store to pre-sell some apparel in support of their latest beer launch. A e-commerce site was built on the Shopify platform to emulate the look and feel of the main Revival site. Mock-ups of apparel were created and the e-commerce site was integrated into the main Revival site.